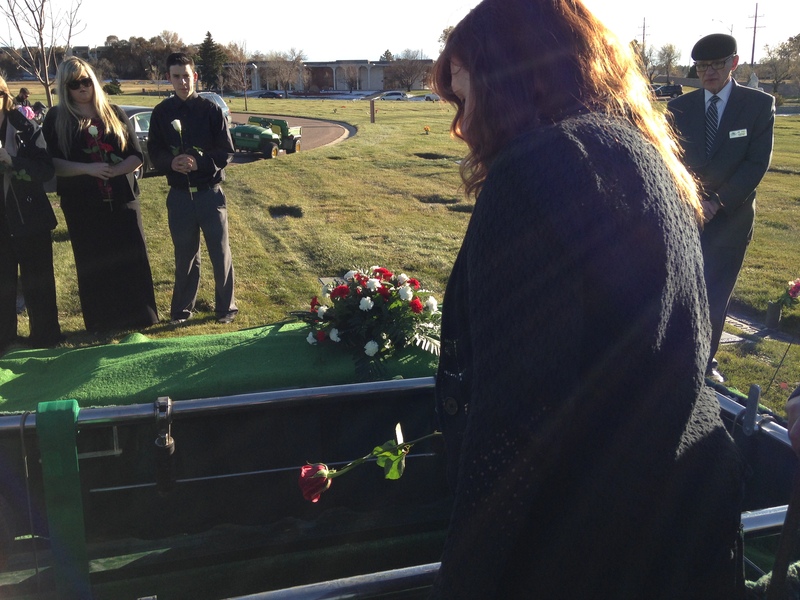 We buried our mother today, my family and I. She was a wonderful mother—loving, strong, kind, principled, and dedicated. I don’t know what I’m going to do without her. Losing a mother is a unique kind of pain. It’s different than losing a father, a spouse, a sibling, or a child. I’m thankful that I haven’t experienced all these different types of devastating loss, but I just know that it has to be different. I’m not saying it’s worse, just different. In fact, I’m pretty sure losing a child would be the worst. But losing a mother is the ultimate severing of the umbilical cord. When you lose a mother, you feel lost, insecure. I haven’t depended on my mother for many years, but I guess I knew she was always there if I needed her. Knowing she is gone makes me feel all alone in the world even though I know I am not. I feel a primal need for her. I wake up in the middle of the night calling for my mommy, and I don’t care that I am a grown woman, a grandmother even. I want my mommy. Losing a mother makes a person grow up instantly. You are no longer the child, and having already lost my father, I am no longer anybody’s child. That’s a strange feeling. I am the mother now. I feel this more now than ever, even though I have been a mother for 26 years. Not being someone’s child is a lonely feeling. It makes me want to pour myself into being a mother to my children. Unfortunately, they’ve grown and left home, and I don’t see them as often as I’d like. Being without a mother makes me feel different. I am different. My husband warned me that losing parents changes a person, but I didn’t really understand before. Losing a mother leaves a void that nothing else can fill. Really losing anyone you love does, but to whom will I go for advice? Who will be proud of me for absolutely no reason? Who is capable of unconditional love besides a mother? That’s what’s really missing. It’s knowing I will never be loved unconditionally by anyone again. My husband loves me almost that much, but I know I could make him lose his love for me if I tried. Of course, I won’t. My brothers, my sisters—that’s close. They have loved me through everything so far. My kids—I’d love to think that they love me unconditionally, but even though some part of them may need me or love me no matter what, it’s just not that same I’d-die-for-you kind of love. I know this is true because the only people in the world that I would love under any circumstances are my children, the only ones I could forgive anything. My pain sounds so selfish. It’s all about what I will no longer have. But isn’t that what grief usually is? We miss the people we lose; we will no longer enjoy their love, their presence. My mother was a wonderful person. She left the world a much better place than she found it. But even if she didn’t, today I would still be an orphan. I suppose her goodness just intensifies it. You posted this on the 22d of November – it’s my mom’s birthday. 7 years ago she died… It symbolizes something, I guess. I’m sorry. Does it ever get easier? Well, it is. Time is a great treatment. I’m so sorry for your loss, Sheri. How difficult to deal with so much loss in such a short span of time. My thoughts are with you. Christina, thanks for this. It made me cry in a good way. I lost two people last week – my husband’s uncle and a friend I cherished for 53 years. We must love those we have now and not waste a minute. Thanks again. So touching and so true. I was 44 when my mom passed. The whole world changed, and I grew up too. Wish sometimes I could go back, but of course that’s impossible. Besides, we’re wired for momentum. We just keeping moving forward. BIG hug.